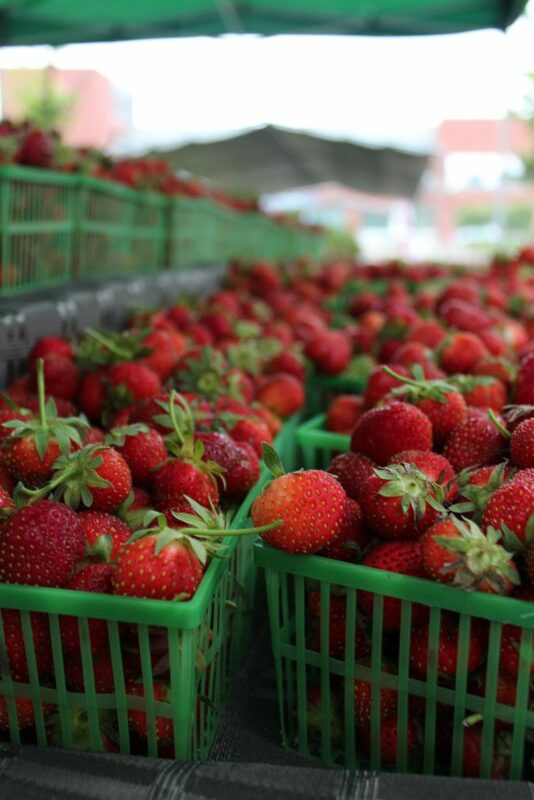 Strawberries are the warm up act for berry season. Sometime in June, the only fruit with its seeds on the outside, these ripe juicy red bundles of flavour start showing up at your local farmers’ market or grocery store. Strawberries are an excellent source of Vitamin C and a good source of folate. They are also packed with flavonoids, two in particular, quercitin and kaempferol. Research shows that these two flavonoids help keep the bad LDL cholesterol from oxidizing and damaging artery walls. Strawberries also contain ellagic acid, also found in raspberries, blackberries, cranberries, grapes, cherries, walnuts, pecans and Brazil nuts. Ellagic acid acts as a scavenger rounding up cancer-causing chemicals and disarming them. One cup contains 50 calories and has 149% of your daily requirement for vitamin C.
Choose the perfect basket. Once a strawberry is picked it stops ripening. Look for shiny dark red berries with fresh bright green tops. Size doesn’t determine sweetness. The flavour has more to do with the variety, weather, and the degree of ripeness when picked. 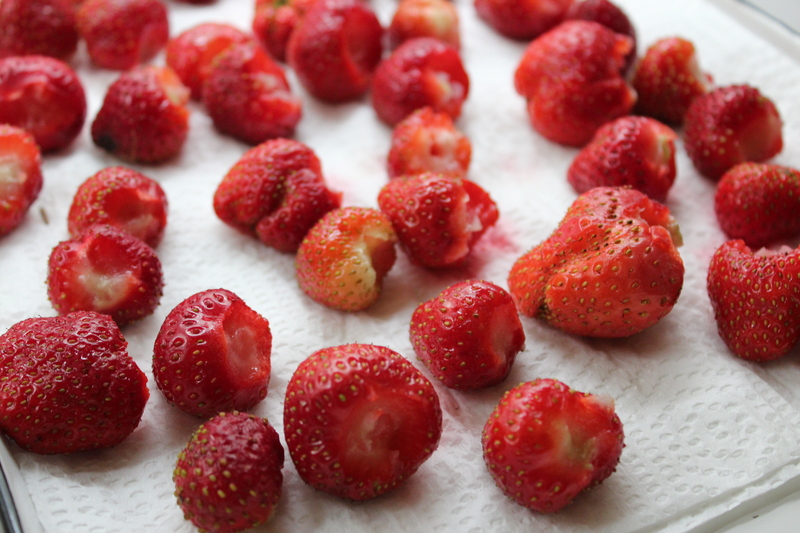 Strawberries like to be eaten as soon as possible after picking. Strawberries aren’t swimmers, so don’t float them in your sink. Just before you need them, gently rinse them under cold running water with the green caps on. Drain and then lay them flat on a clean tea-towel or paper towel to completely dry and then hull; chef-speak for removing the green cap. They are ready for any recipe or just for eating as is. Rinsed and hulled and ready for a recipe.